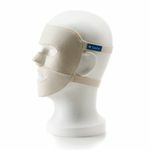 Tipp: Die Saalio® Gesichtsmaske kann nur zusammen mit dem Saalio® DE Iontophoresegerät oder im FA Komplett-Set verwendet werden. 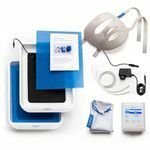 Bei der Saalio® Gesichtsmaske aus hautschonendem Vlies handelt es sich um Original-Zubehör von Saalmann® medical, passend zum in 2015 neu entwickelten Saalio® Iontophoresegerät, das eine effektive Therapie gegen übermäßiges Schwitzen gewährleistet. 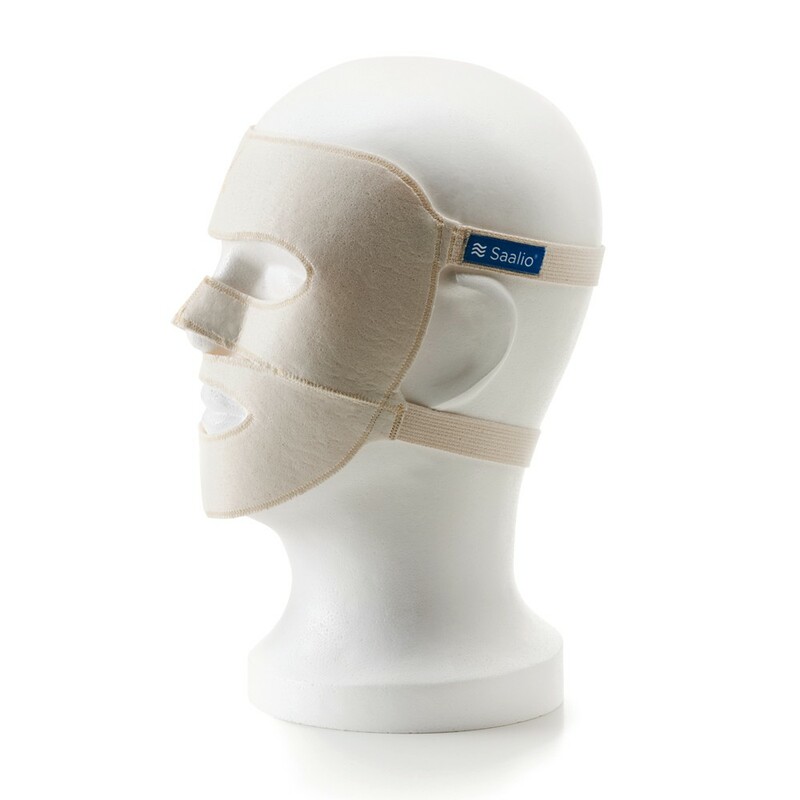 1 x Saalio® Iontophorese-Gesichtsmaske mit integriertem Anschlusskabel. Diese Gesichtselektrode eignet sich für einen Kopfumfang von 52 bis 62 cm. Die Saalio® Gesichtselektrode (Gesichtsmaske) kann nur zusammen mit einem Saalio® DE Iontophoresegerät verwendet werden. Mit dem Saalio® DE Iontophoresegerät, in Verbindung mit der Gesichtsmaske, lässt sich Schwitzen im Gesicht, Handschweiß und Fußschweiß (letztere auch simultan) sowie Schwitzen unter den Achseln* besonders effektiv behandeln. Nutzen Sie alle Vorteile der Puls-/Gleichstrom-Therapie in einem einzigen Gerät! Angenehmer Pulsstrom kann Schwitzen im Gesicht (Stirn, Nase, Oberlippe und Kinn) effektiv verhindern. 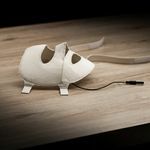 Mit dem passenden Saalio® DE Iontophoresegerät (dieses Set beinhaltet auch eine zwingend benötigte Behandlungswanne mit Wannenelektrode) lässt sich Schwitzen im Gesicht, Handschweiß und simultan auch Fußschweiß, sowie sogar Schwitzen unter den Achseln* besonders effektiv behandeln (*Achselelektroden sind optional erhältlich). Die Gesichtselektrode eignet sich für einen Kopfumfang 52 bis 62 cm. Details zur Anwendung finden Sie in der dem Saalio® beiliegenden, farbig bebilderten Gebrauchsanweisung. Diese ist übersichtlich, leicht verständlich und ermöglicht Ihnen einen schnellen Start Ihrer Therapie in nur wenigen Minuten. Helfen Sie anderen Anwendern und Interessenten und bewerten Sie Saalio® Gesichtsmaske mit Graphitfasern. Ihre Bewertung wird anonymisiert veröffentlicht. I suffer from facial hyperhidrosis particularly on my forehead, nose and upper lip. It's worse when I'm nervous or when I eat (particularly if I ear spicy foods). I already have a Hidrex GS400 iontophoresis machine. I didn't want to spend so much money to buy another iontophoresis machine just so I can use this facial electrode. Luckily when the electrode arrived it fit my existing Hidrex machine without my having to make any alterations whatsoever. 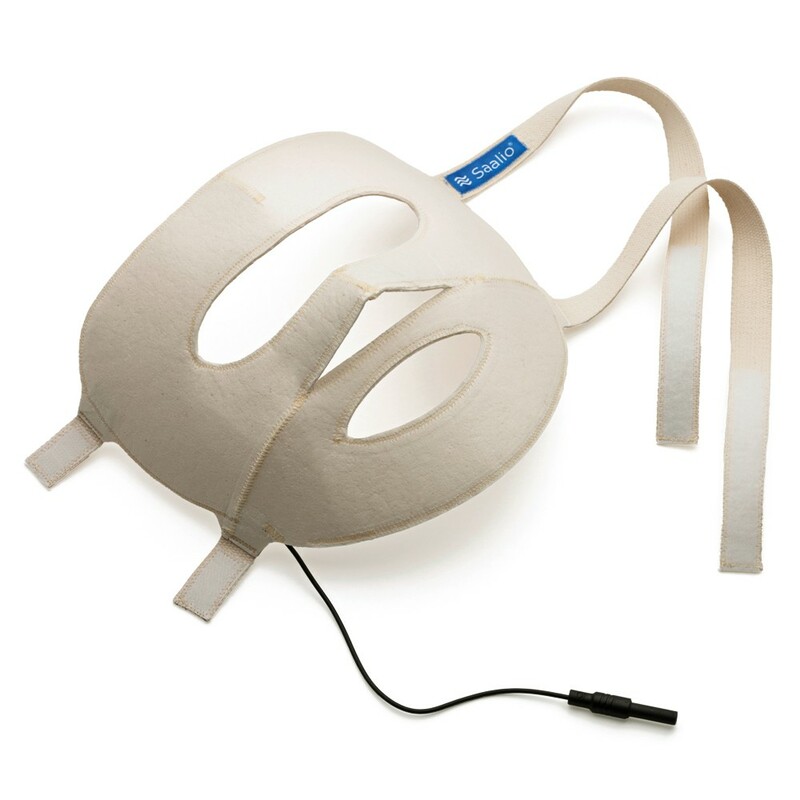 The electrode is very well made and has conducting wires flowing through it everywhere including my problem areas of forehead, nose and upper lip. This means that electricity will flow to all parts of your face and be able to stop sweating over the whole of your face. 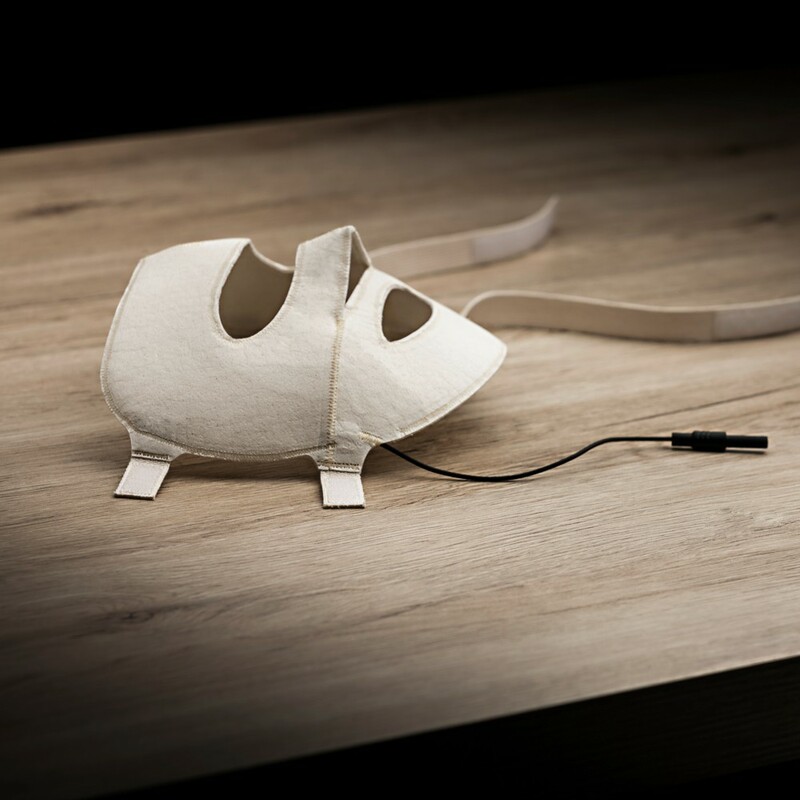 I've seen cheaper sponge versions of this mask with an electrode on each cheek instead of conducting wires running throughout the mask. I believe this mask is superior and gives a better result at stopping excessive sweating. This electrode comes with detailed instructions in German. The company separately emailed me the same instructions in English which is very helpful. My Hidrex GD400 machine is a direct current machine (no alternating current option). I use this facial electrode every day for 16 minutes; I have a break at 8 minutes when I re-soak the mask with tap water and then I do a further 8 minutes. I turn the power up as high as I can comfortably tolerate (this is in excess of the limits set out in the user guide). The tolerable voltage increases daily; I started at 18 volts and after 8 days I could tolerate 27 volts comfortably. Your levels will be different to mine but I think the mask will still work just as effectively. I was careful to tighten the mask straps sufficiently so the mask had the best possible contact with my skin and I kept the mask wet throughout the treatment - these two steps will ensure a better result. 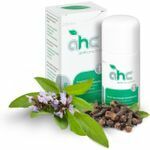 After 8 days the treated areas of my face have stopped sweating completely (untreated areas continued to sweat as normal, e.g. the skin in front of my hairline which the mask didn't contact). For maintenance I don't know how often I will have to use the mask but I will initially try once every two weeks. When I used the mask for the first time I got a massive headache and stopped treatment after 5 minutes. I got worried that electricity was flowing through my brain causing the headache! I wrote to the company who reassured me that there's no way that the electricity could flow through my brain and that I "can feel very safe to buy electronic devices and medical parts from Germany, because we have very strict safety-rules and laws". I haven't suffered headaches on any subsequent use of the mask. You will need to use a counter electrode with this mask which will be either a hand or foot basin with an electrode in it. I use a foot basin. When you use the mask you will get a metallic taste in your mouth, this is quite normal. I have two criticisms of the mask. The first is that the material covering the nose is excessive for me because I have a regular size nose and so I have to stretch the material over my nose and hold it there so that contact with my nasal skin is maintained throughout the treatment - this can be very tiring and uncomfortable to hold your hand like this for the duration of the treatment. The surplus nasal material is there to accommodate people with bigger noses I imagine. If some method of adjustment was built in to the mask then this would be immensely useful. The second criticism I have is that the lower mask strap is too short for me and will not go around my entire head and allow me the fasten the Velcro together. I ended up having to purchase additional Velcro to lengthen the strap provided. The mask initially seems expensive but its reasonable when you compare it with cheaper sponge masks available elsewhere which cost around €70 but only have a single electrode on each cheek, which, I feel, would give an inferior result. My overall opinion is that this mask works and so it is worth buying. I can commend the company too for their helpfulness and great service throughout, thank you.